Back in May, before I left town for work, my very first car came up for sale. 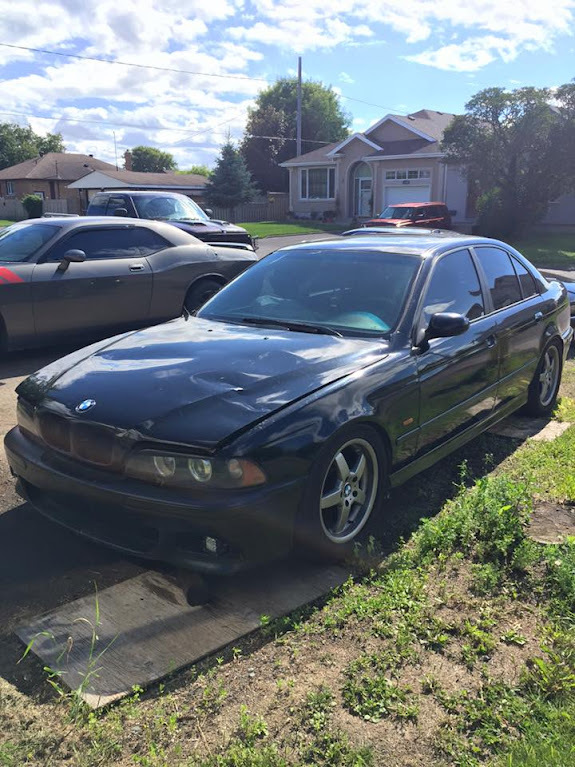 It's an E46, same chassis/generation as the M3 but it's only a 323i, so it only has a 2.5L inline 6 and makes about 170hp and 180ft-lbs, but it's an automatic, which I thought is perfect for a DD since I already have the M3. A little history on what happened to it; back the summer of 2010 I had just come home after being out of town for over a month and someone idiot kid on a test drive drove straight into my car on purpose in the Intercity parking lot. I never bought it back and I always kind of regretted it but I finally got a chance to get it back so I took it. Here's a few pictures of what it looked like I originally got it, just before it got totalled, after it got totalled, and what it looks like now. 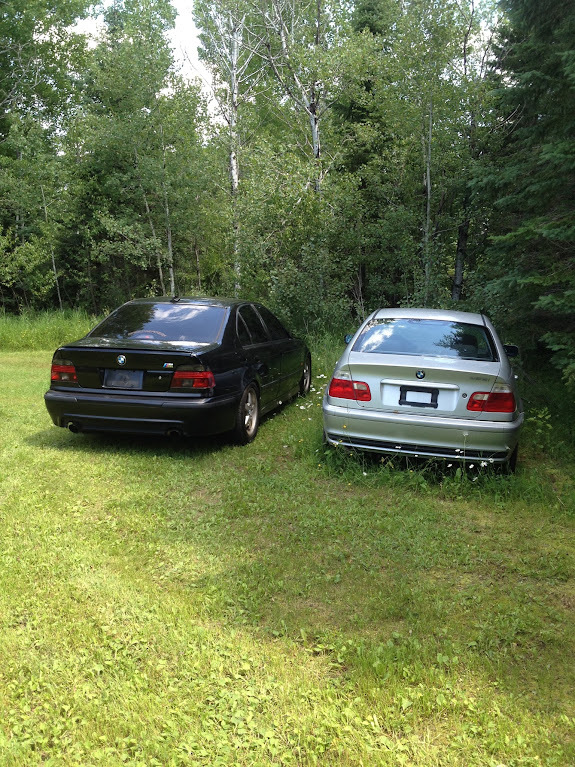 To me it was a perfect opportunity and I was very happy to get back into an E46 and RWD and get rid of my VW. 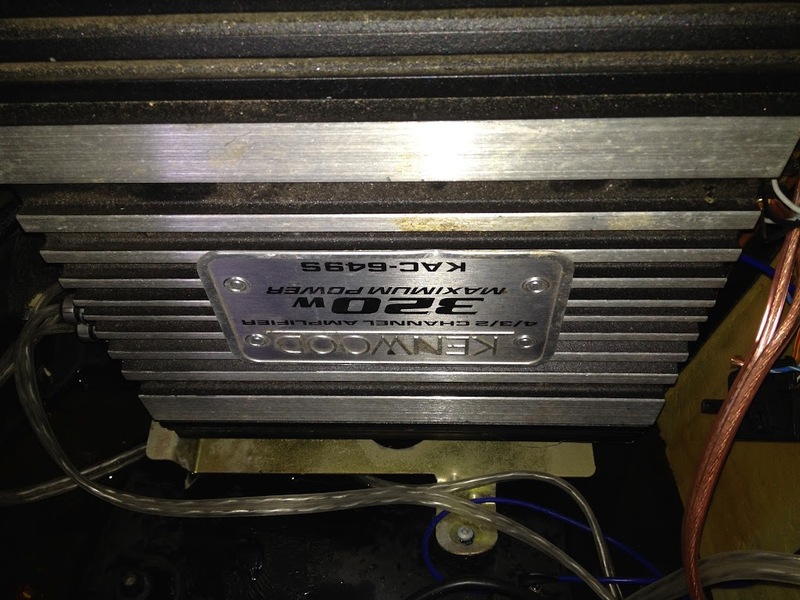 I'm very familiar with this chassis having owned 2 different ones over a combined 6 years and it was local, so that was a huge bonus for me. I got it back and I ordered a few things that it needed to get back into good running order, planning on fixing it once I got home in September. 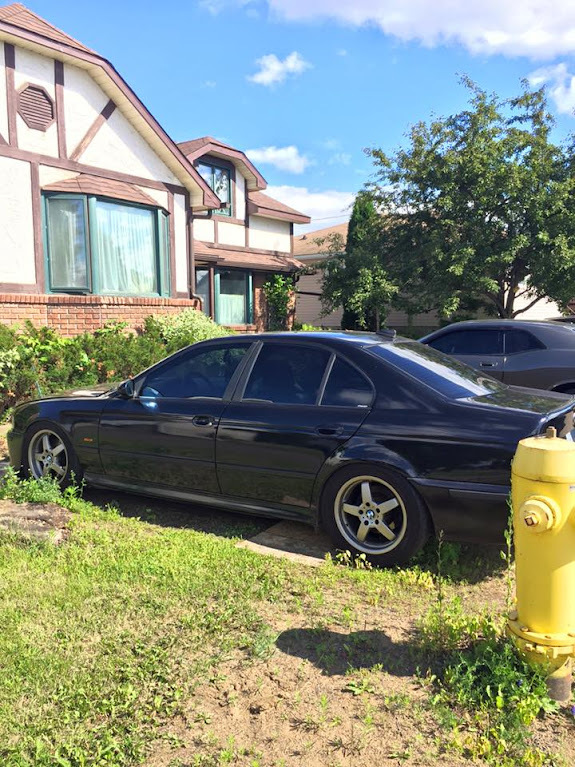 Then in July, George (purplebilmer), posted up his black E39 540i for sale. 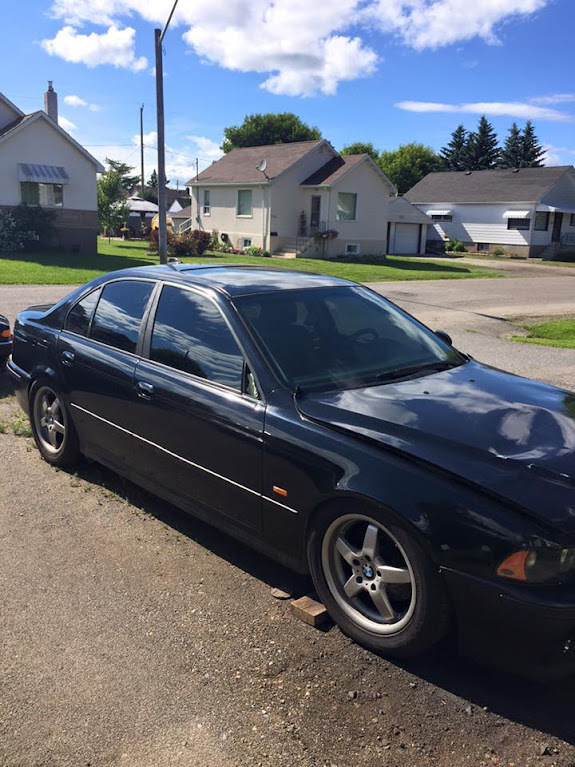 I was really interested in it since it's a bigger car, it has a V8 and I always kind of wanted an E39, but I had just got the 323 back in May, I was out of town for work and it needed a bit of work to get it on the road so I didn't really think about it seriously. Anyways, George sent me a price and told me to pick it up, and it just so happened that I had 3 days off and a flight available to go home, so I went and I bought it. Now the plan is to sell the VW, fix the 323 and sell that and fix up the 540 and keep it as a year-round daily driver. Here's a few pictures from George's ad. 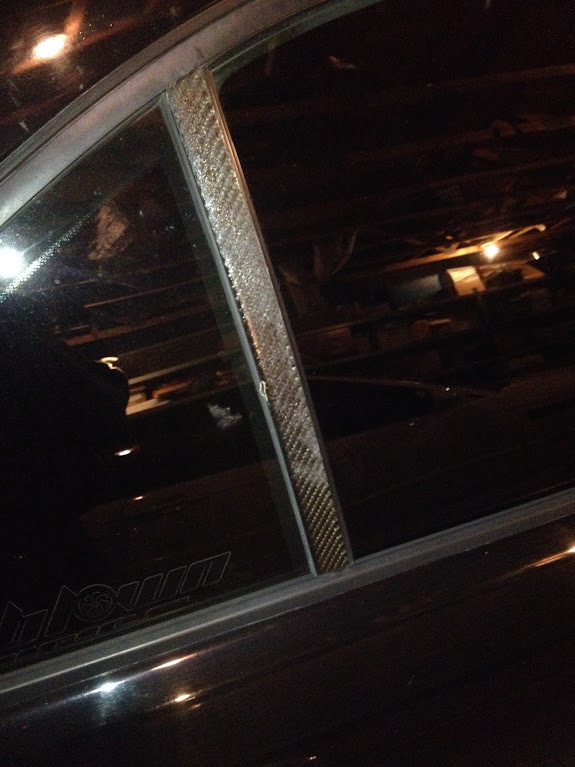 As you can see it needs a new hood, door handle and mirror. I never really got a chance to look over the car fully but I already have an extensive list of things that need to be fixed and things I want to do to it. It's a bit more than I was expecting but it's not anything that I don't think I can fix. There's one issue with the front driver's wheel sitting about a 1/4 to 1/2 inch too far forward and rubbing the fender and bumper that I still have to figure out. Front left tire rubbing - not sure, possible bent thrust arm or control arm due to possible accident damage? 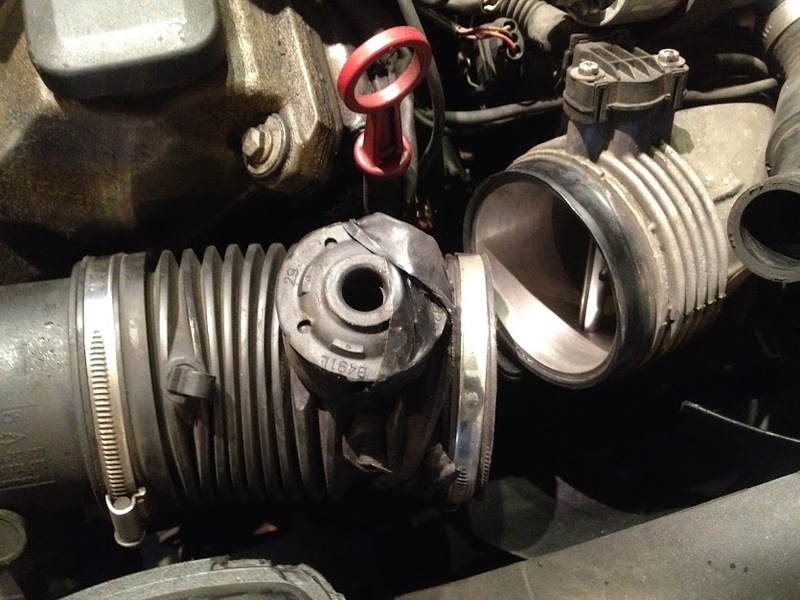 Now for some photos of said problems! Shifter just kind of sits there. It's hard to tell what gear its in. I've already ordered most of the parts that I need, save for a few that I'm not really sure on just yet. I'll be picking up all the parts when I head down to Brainerd and I'm hoping to have it on the road for early October. Last edited by Nabs; 09-16-2015 at 11:35 PM. I like to be thorough and have everything working properly. Really all it needs is a new hood, mirror, handle and the front wheel fixed and it should pass safety. Everything else is just me being picky. I ordered a lot of used parts off eBay already and I everything else I'll be buying new OEM unless it's ridiculously priced and then I can just get aftermarket parts. I figure if I spend $1500 on parts I'll be set and that's really good considering the age of the car, the amount of stuff I'm actually doing and what I paid for the car. BMWs are really easy to work on, they just scare a lot of people because they're not used to them. 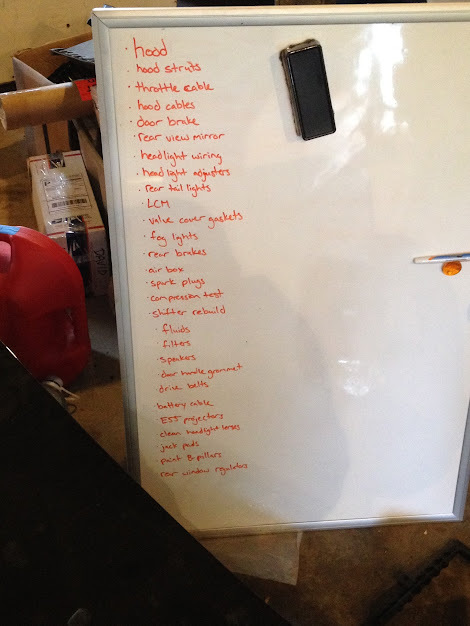 It helps that I have all the factory software to diagnose problems and code the car too. 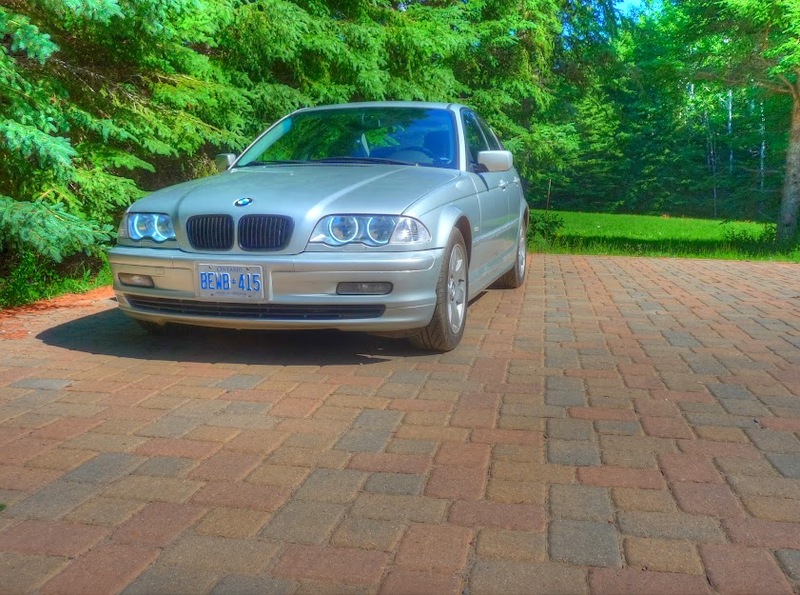 The best thing about this car is that almost everything other than the drivetrain is shared among all the other E39s so finding parts is really easy. It actually has the same transmission, just different bell housing, as my M3!!! I tried reinstalling the passenger mirror that was broken and fixed and the bracket shattered again. Is it possible to weld this thing? I don't want to spend $350 for another mirror. The next thing I really wanted to get done was the door handle. Every time I wanted to get in the car I had to go through the back seat and open the door from inside. It was easy coming out but the new plastic taiwanese piece that was given to me was a bit difficult to get in, it almost took an hour but I finally got it! Only 2 of 9 clips weren't broken or missing. Toasty bulb. The ballast is also burnt out. If I get a chance this week I still have to check the brakes and suspension to see if anything needs replacing for the safety. 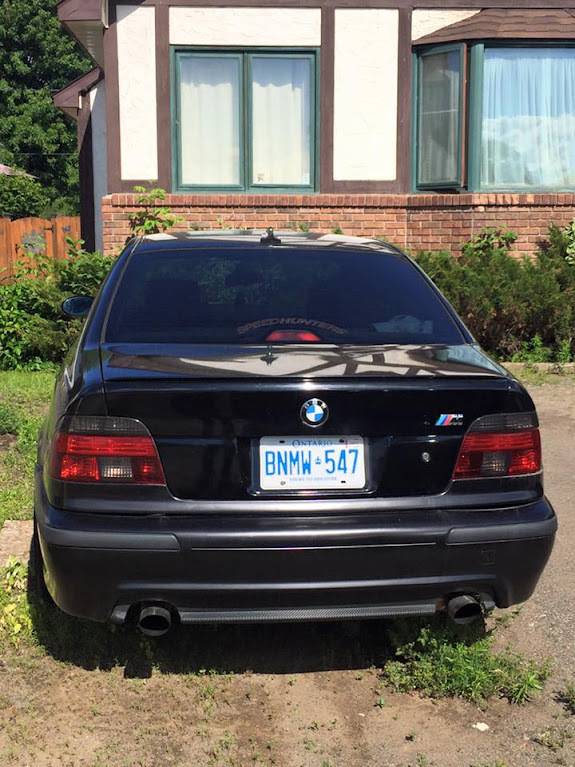 I have to get started on the M3 and the clutch so it might not happen unless that is done in the next 3 days. Last edited by Nabs; 09-06-2015 at 09:17 PM. Wow, million little things to fix up,glad to see there isnt anything crazy major...but,agreed itll deff be worth it,once it's restored. A million little things, but it definitely adds up to the same price as something major. I really just wish I had time to work on them, I keep finding all these small problems but I can't really do anything until October when I'm finally home for good. I need this thing on the road for then end of October. This isn't the correct terminal for this car. Well it kind of is but not quite. BMW puts a tiny charge on the end of the battery terminal so in case of an accident the charge will go off and prevent any electrical fires. 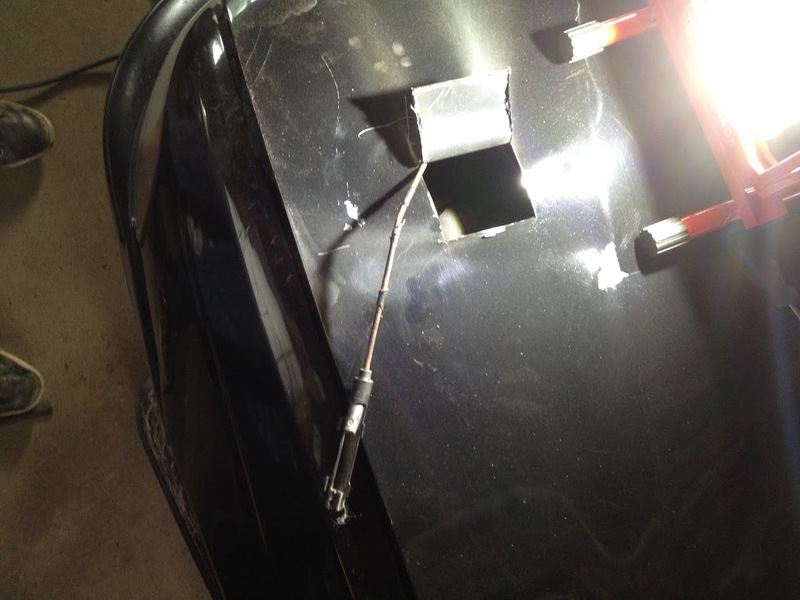 It looks like the car has been in an accident before but instead of fixing it, usually require a $300 cable, someone just bought a battery terminal, stuck a bolt in it and attached everything to it. 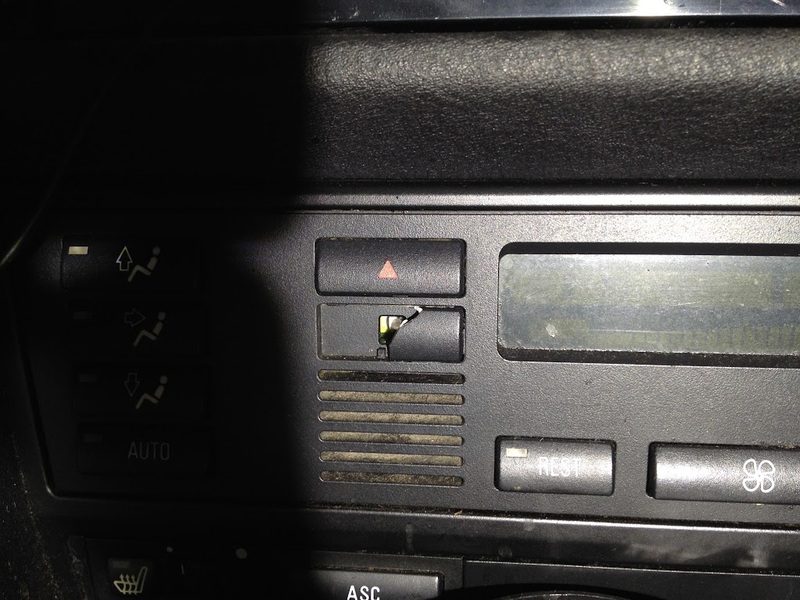 While it worked, that charge that's supposed to be there is connected to the airbag system and was causing my airbag light to be on. I was able to find a cable with just the terminal on it for $50. Here is what the proper terminal is supposed to look like. I was also finally able to get the sub out, which was in there pretty good and found the trunk floor had been replaced with some 1/4 plywood, screwed together in the middle and the spare tire was missing. Last edited by Nabs; 10-08-2015 at 10:25 AM. In the last 3 weeks I was trying to get the car fixed up and on the road and go on a road trip but just too much came up at the last minute and I wasn't able to get the car done in time. I'm really hoping to have it done by in the next couple weeks before it snows. Anyway here are some pictures. I'll try and keep them to a minimum since I have over 100 since the last time I updated this. Tried to fix the door brake and ended up having to order a new (used) door, which I'm still waiting on, since the old one was really beat up. Went to fix the rear window regulators and found this... Ended up just ordering new regulators and just used the old motors. I had to drop the trans to change the shifter bushing and found that the mounts were rotten, and on one side of the brace all 3 bolts broke and two are directly above the exhaust, which I didn't want to remove (due to time constraints) since the flanges at the header are really rusty and it's one piece from the header all the way back... I'll drop the exhaust now that I have some more time. 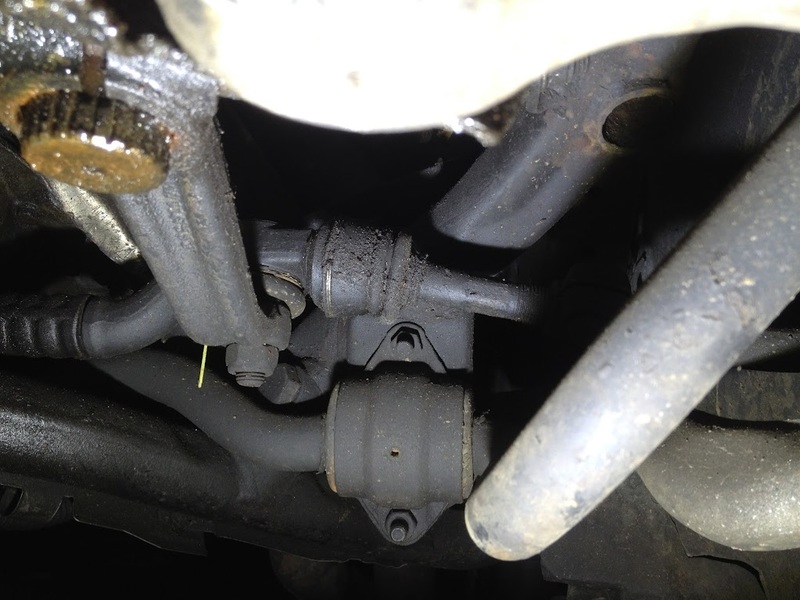 Went to change the spark plugs and valve cover gaskets and I found that some of the coils weren't even on properly and the wells were full of oil. 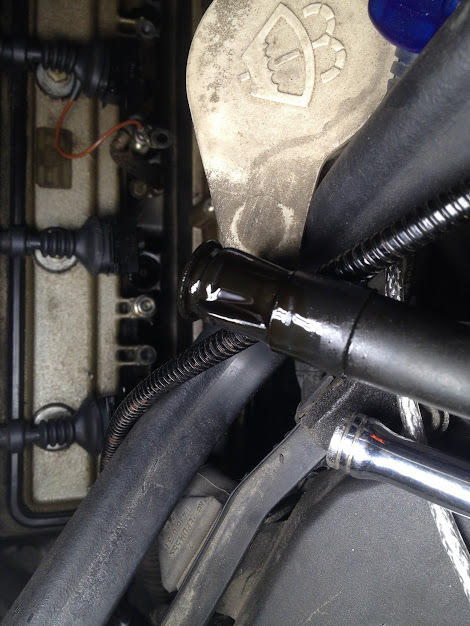 The valve cover gaskets and upper timing cover gaskets were so old and tired that they were like hard plastic and would come out in chunks and was causing major leaks. As I was about to put the valve cover back on I realized the upper timing chain was really loose and the tensioner wasn't pressing on the chain at all. While I tried to see if I could get it to move I broke one of the plastic guides. That set me back a couple days and when I took it off it the bugger was working again. Nicely done Nabs. 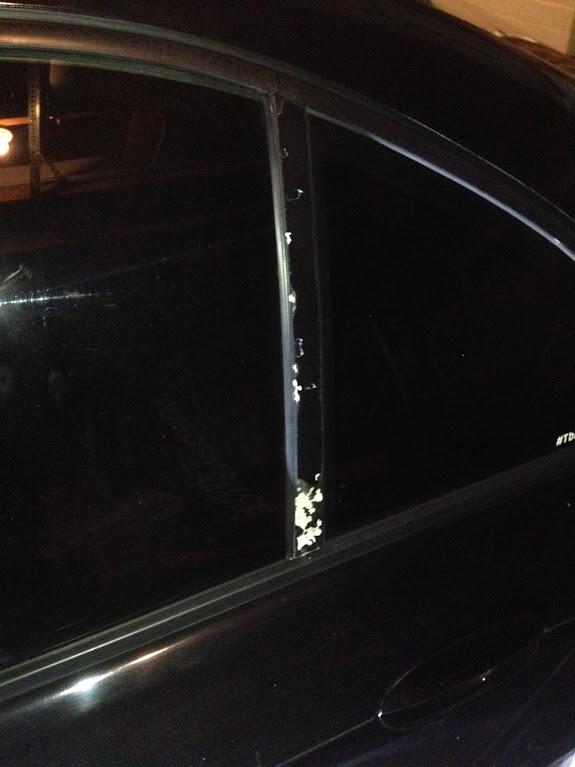 It really amazes me though how many weird things have broken on this car. Most of these are pretty common issues. 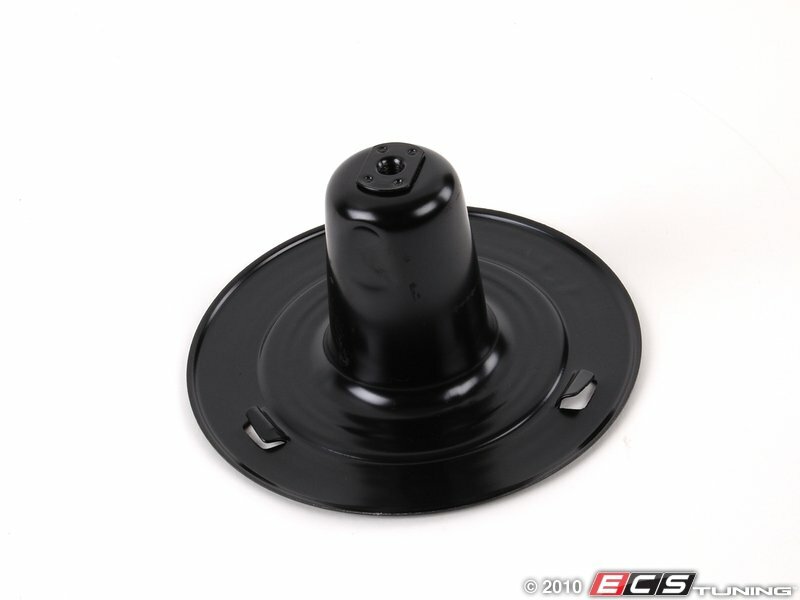 The rear regulators are a known issue, as are the windshield gaskets, cup holders, hood release cable, headlight adjusters and shifter bushings. I kind of expected to replace them all anyway since the car is 17 years old and has 228,000km and over 10 owners. The only things that caught me off guard were the throttle pedal, the damage on the door and the wood to hold up the windows. You're the only man I know who could be caught off guard by the state of a throttle pedal! If it was a race car it would be understandable but how do you break the pedal on a street car?! And it's been broken for a while. Anyway, time for a new post! I haven't done much lately, just because I was out of town for a week and then I decided that I would finally fix the fuel pump on the M3 so I could drive it a couple more times before I change the oil and put it away. When I came home I immediately pulled off the sunroof glass as I knew it was broken and I was about to put in an order for parts. 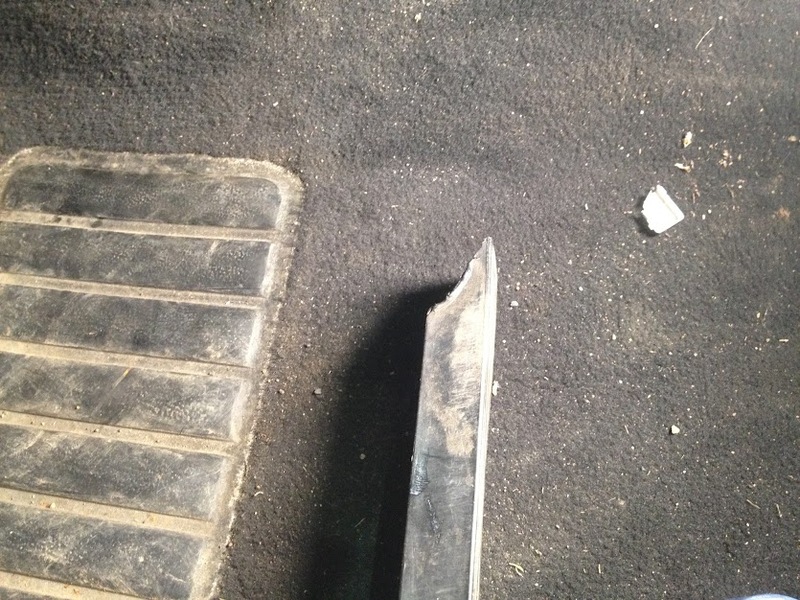 It's a common problem with this sunroof and luckily there are parts available. I found both sides had broken, the right side was a lot worse though. 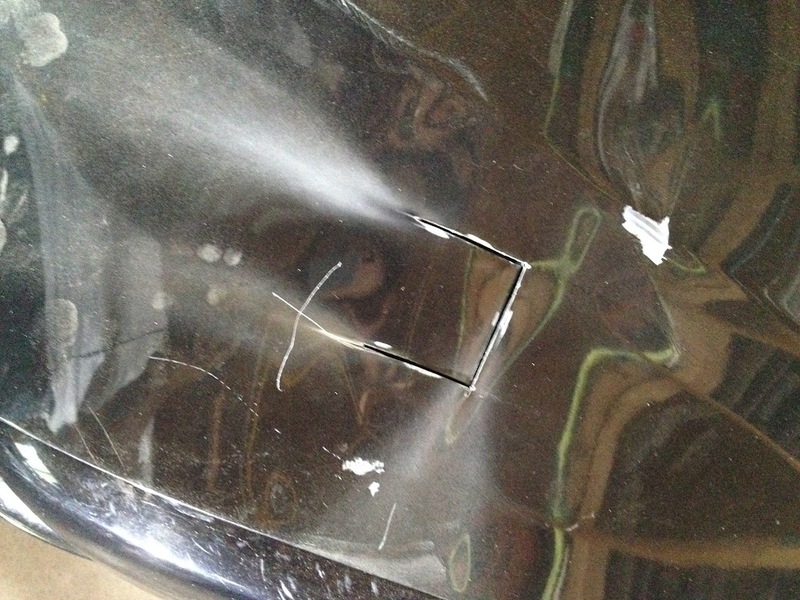 There were two metal plates siliconed together then they put more silicon on them and put it over the hole... 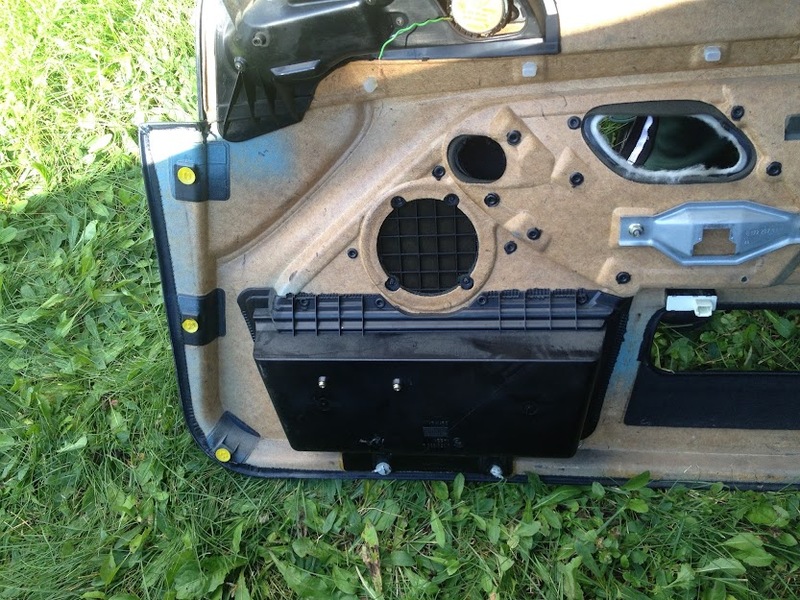 The circular area in the middle is supposed to have a piece that come up so you can use a threaded rod and some other parts to secure the spare tire. I was able to order that and once that arrives I'll tackle fixing that whole mess. I also found out that the area where the battery goes is missing a piece that levels it, so my battery currently sits crooked. That part has to come from Germany so it'll take a few weeks for that. In the mean time I have to clean up that whole area as well and weld one spot that's cracked. I think all the rust in the battery and trunk area are due to the leaking taillights that were on it before or that centre piece has been missing for some time and everything was splashing in. I was also having issues with one of the license plate lights not working so I pulled the holders and tried the working bulb, no luck so I swapped the holders, still nothing. 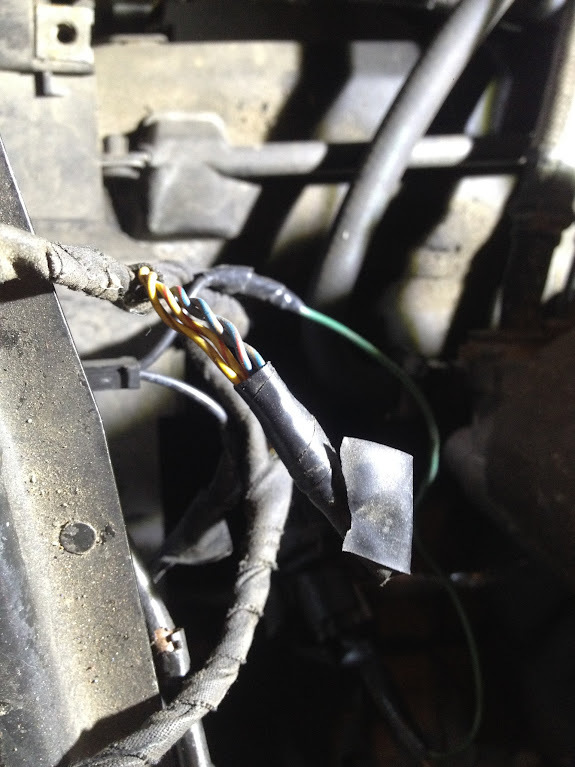 I pulled back all the trunk liner and checked the wiring in the trunk, it was all good. 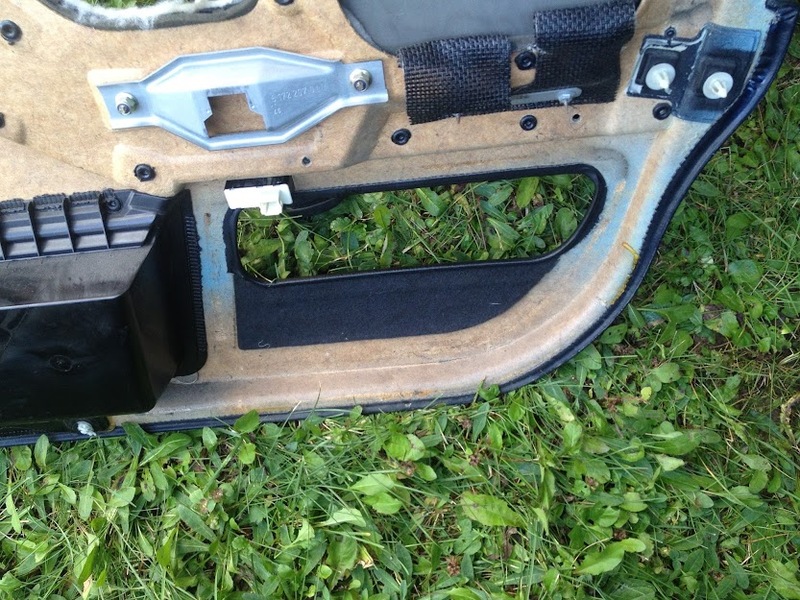 Then I pulled back the rubber boot for the wiring from the body to the boot and found that instead of pulling the old harness and installing it on a new trunk, whoever changed the trunk just cut the stock harness and did their famous wiring of pigtails and electrical tape. 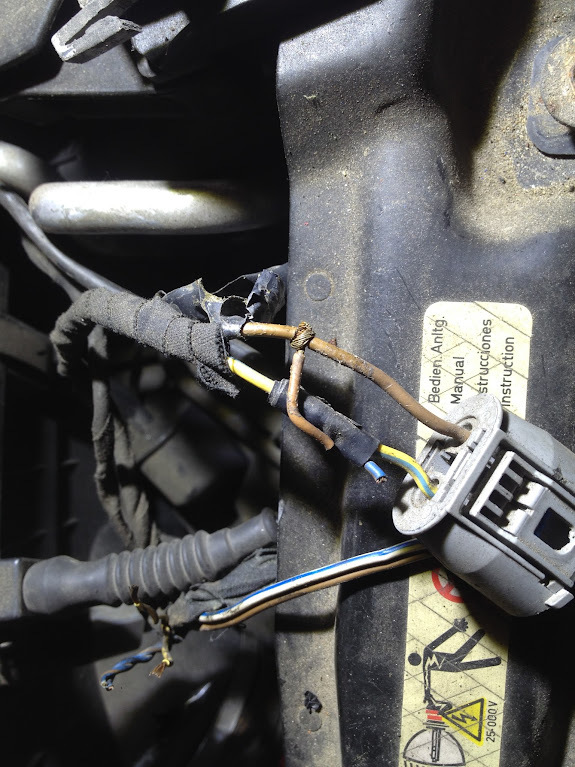 This wiring loom is known to have the wires break apart over time from the opening and closing motion and there was some of that too. I pulled it all apart and soldered every wire and used heat shrink. On the good side of things I did finally put the hood on but I still have to adjust it and hammer it in a couple spots to straighten it out. Started removing the rust on the rear quarters and the front fenders, luckily it's not too bad. 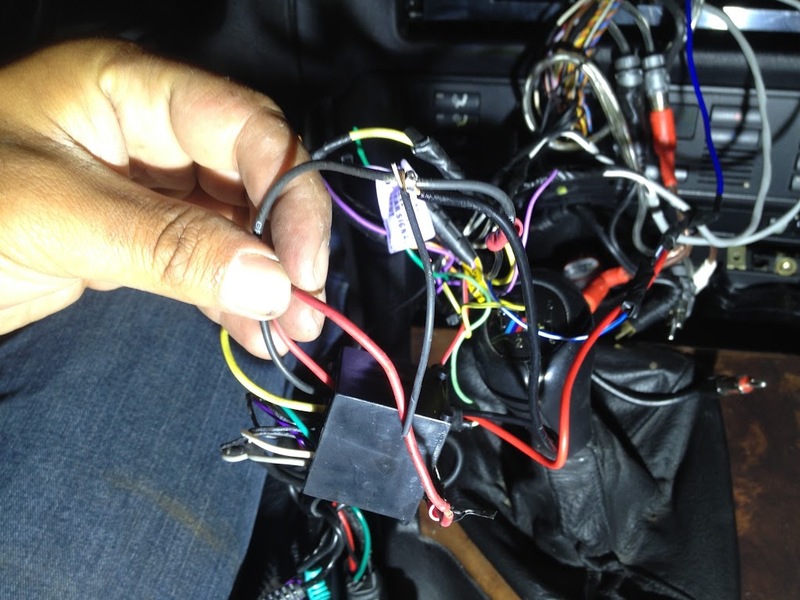 I also rewired the amp and pulled out the extra wires I didn't need that were running from the headunit all the way to the back and reinstalled the rear interior. Most of the stuff that's left either requires a lot of time and patience or I'm waiting for parts. The goal was to have this on the road for the two weeks ago and go on a road trip but that obviously didn't happen so the new goal is to have this on the road by December. Last edited by Nabs; 11-03-2015 at 12:29 AM. 99 passat wagon daily driver project.